It doesn’t quite defy physics, but the Flying Tent does defy convention: an all-weather hammock that doubles as a bivvy tent, that triples as a rain poncho – and it folds into a backpack. If camping teaches us one lesson that applies to everyday life, it’s consolidating space. 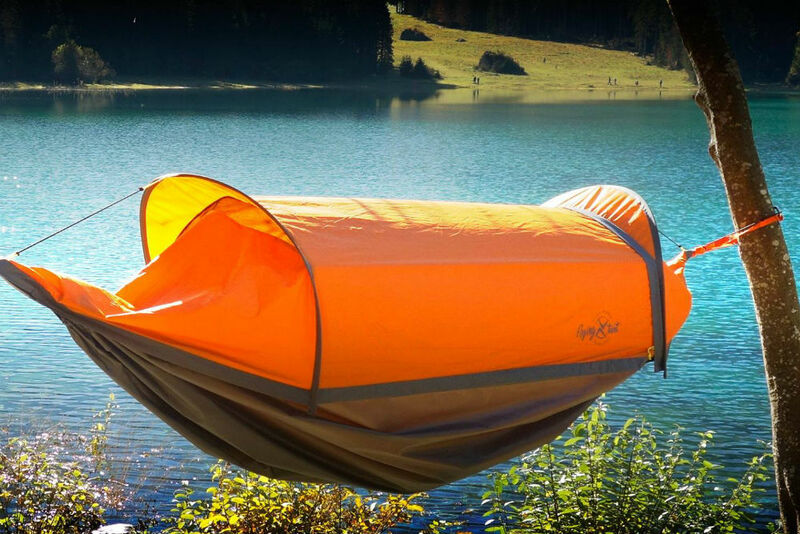 The Flying Tent is about just that: making four accessories we all take on camping trips and weaving them into one, convertible gadget. And it’s pretty ingenious. 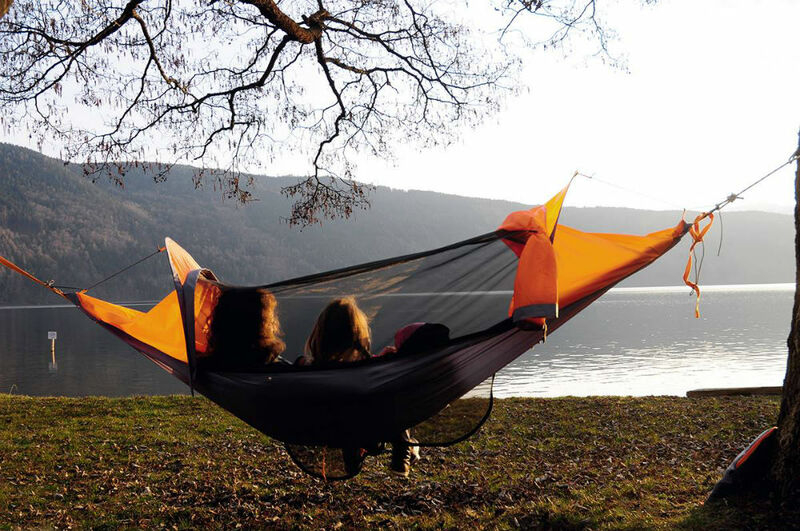 First, Flying Tent integrates the rain fly and mosquito net into the hammock assembly with a zipper rather than using a separate attachment point. Then it goes a step further, making that same assembly into a standalone 8-foot bivvy with its own footprint when it’s on the ground. For good measure, the hammock, which is water resistant, converts to a rain poncho via a hidden pocket in the center that doubles as a hood. Strategically placed drawstrings make it fit better than, well, a hammock. 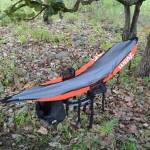 All of this comes with a price tag that is high for a hammock or tent, but cheap for the pair: $319. 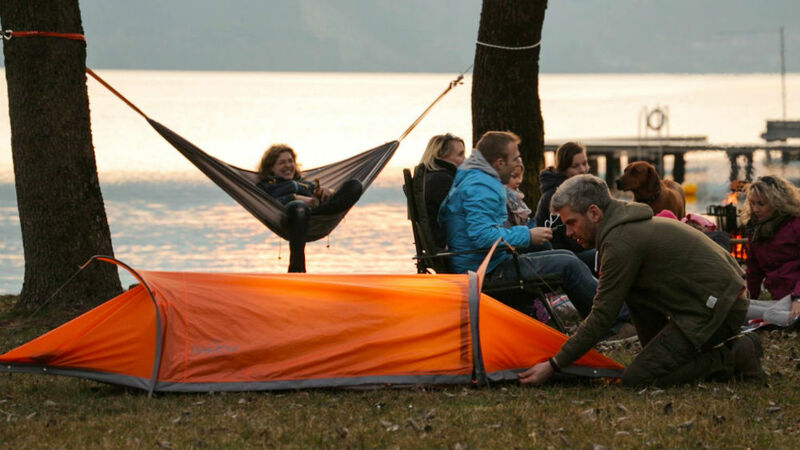 This could be a sweet piece of gear that catches eyes on your next camping trip – worth it if you’re in the market for a nice hammock and could use and extra one-person tent. Flying Tent can be backed on its Kickstarter page and will be available for retail from its website in July.